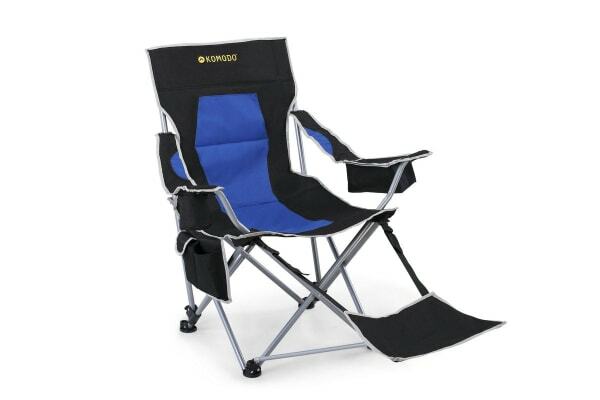 Be the king or queen of the campsite with this super comfortable deluxe camping chair, featuring an insulated cup holder and adjustable footrest. 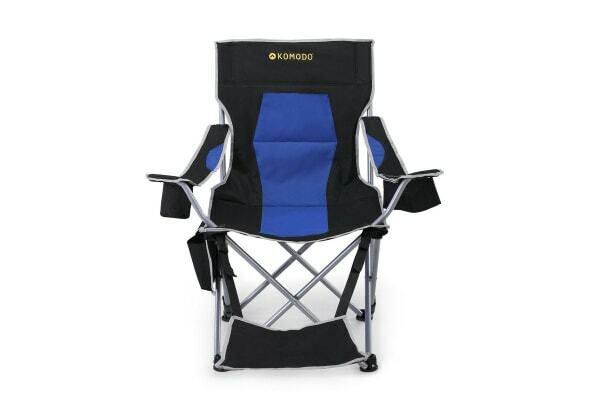 Boasting comfortable, double padded polyester and an adjustable footrest, all you need to relax this summer is an ice cold beverage and the Komodo Deluxe Camping Chair with Footrest. 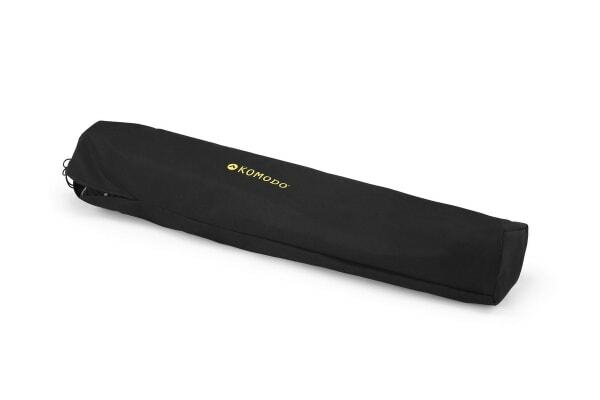 The sturdy, high-tensile steel frame folds down to neatly fit into a thin carry bag that you can take easily to a picnic or to the beach.